We are a trustworthy organization in the market, actively engrossed in offering a wide gamut of Dynamic Pass Box. Photon Cleantech Inc was established in 2013 and is operating as a leading Manufacturer, Supplier, Service Provider, Trader of Operation Theater Equipment. Some of our range includes Vertical Laminar Air Flow, Fume Hood, Dispensing Booth, Air Shower, Static Pass Box, Garment Cabinet, Clean Room Double Door, Modular Operation Theater, Horizontal Laminar Air Flow, Air Filtration System, Clean Room Single Door, Clean Room Single Door, Window Mounted Negative Pressure Module, Positive Pressure Module, Biosafety Cabinet, Dynamic Pass Box, Air Handling Unit, LED X-Ray Viewer Plate, Surgical Scrub Sink, AHU Filter Machine. We also provide annual maintenance contract services for this product range. The offered products are known for their durability, hassle-free performance, energy efficiency and high tensile strength. 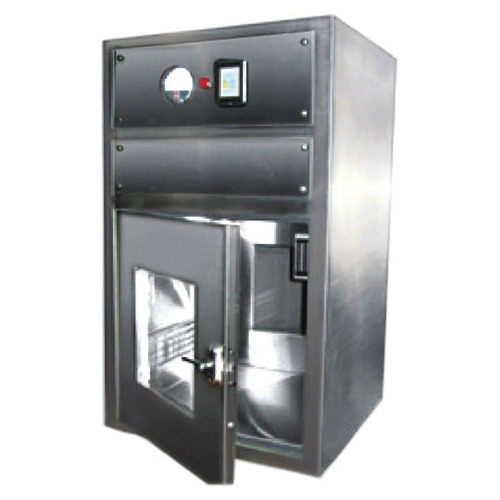 These products are used for maintaining the sterilized environment and avoiding contamination in a wide range of industries including food processing, pharmaceutical, and research laboratory. We have constructed a well-equipped infrastructure for streamlining the processes of the organization. Our production facility has access to innovative technology-based machines for maintaining the set industry norms. We procure our raw materials from a reliable vendor base and ensure the delivery of flawless products to our clients by monitoring the manufactured goods in our quality assurance unit. Our transportation facility is fast and accurate. It has enabled us to meet the deliveries within the stipulated time period.